10 bands plus! Richie Stotts, The Independents, Mickey Leigh & Friends, and more! 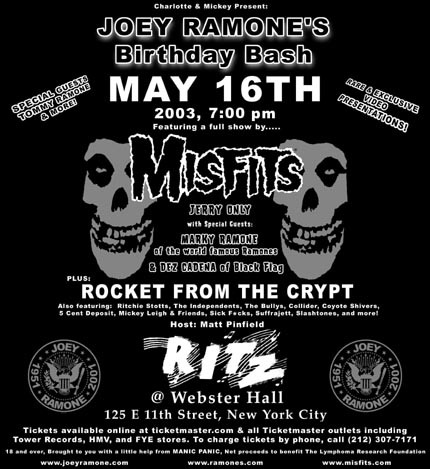 Special Guests Tommy Ramone, and more! Rare & Exclusive video presentations!